In addition to a new look and feel for the product logo, toolbar, and toolbar icons, other exciting new additions include: Support for Office 365, new PDF Aloud viewer, new PDF Flow Editor, new feature video tours, and more! Read&Write’s customizable toolbar provides reading, writing, studying, and research support tools within familiar applications (i.e. Word, Google Docs, IE, Chrome, Firefox, Adobe Reader). Read&Write for Windows Toolmatcher: Not sure which Read&Write features are right for you or your students? 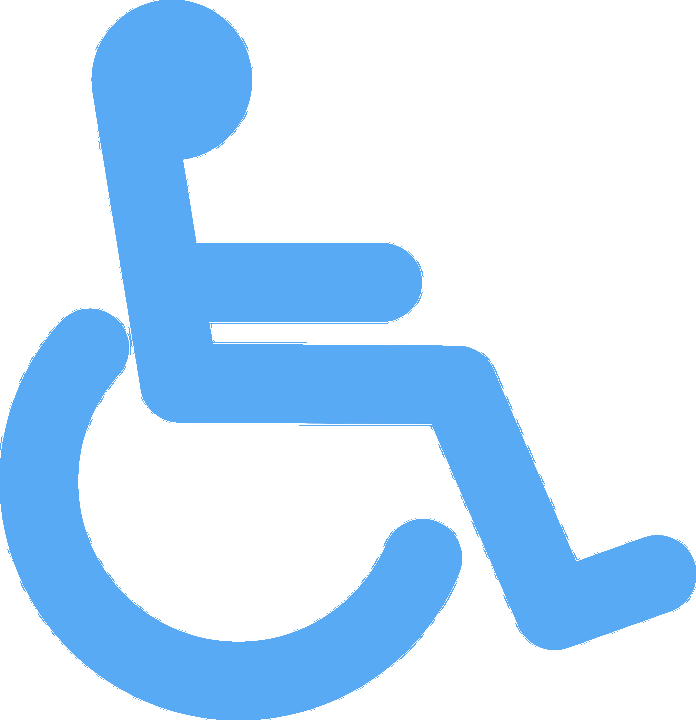 The FREE Online Toolmatcher matches an individual’s support needs to the appropriate features on the Read&Write toolbar. The KNFB Reader can recognize and read printed materials in a variety of languages. By harnessing the power of digital photography coupled with state of the art hardware, this app, originally designed for people are blind or visually impaired, is also a solution to those with reading difficulties who simply want text translated in to audio feedback. 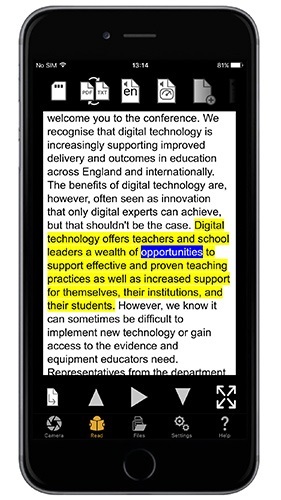 The text is highlighted as it is read. It is very fast and accurate. 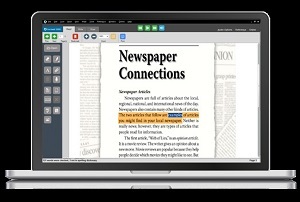 Fast: With the touch of a single button, read virtually any type of printed text, including mail, receipts, class handouts, memos and many other documents. Accurate: Accuracy is facilitated by a field of view report, automatic page detection, and tilt control. 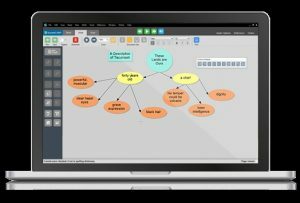 Efficient: Proprietary document analysis technology determines the words and reads them aloud to the user with high quality text-to-speech. Also highlights words as they are spoken. If you want to use your KNFB Reader app on multiple devices and platforms, KNFB Reader Enterprise is the right solution for you. Versions available for iOS, Android and Windows! With a KNFB Reader Enterprise license, you can install the app on 2 or more devices, independently of the platform you use. Turn on link to Dropbox, allowing backup and restoring files from Dropbox and easy file sharing. © 2019 Dakotalink. All Rights Reserved.